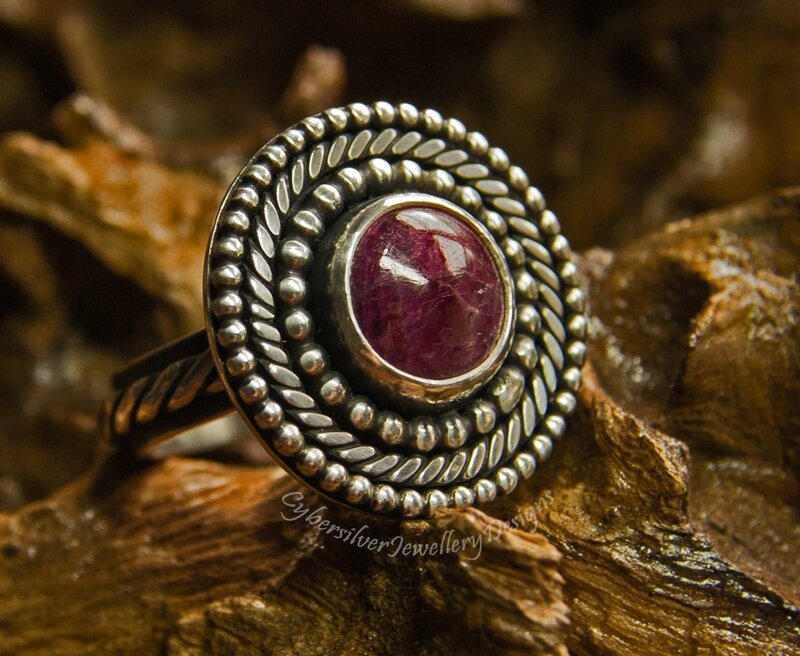 A gorgeous large natural ruby set in a striking, handmade silver ring. ​This stunning ring is constructed from solid sterling silver and is a really substantial piece of jewellery. The ruby is totally natural and the most beautiful deep pink-purple. 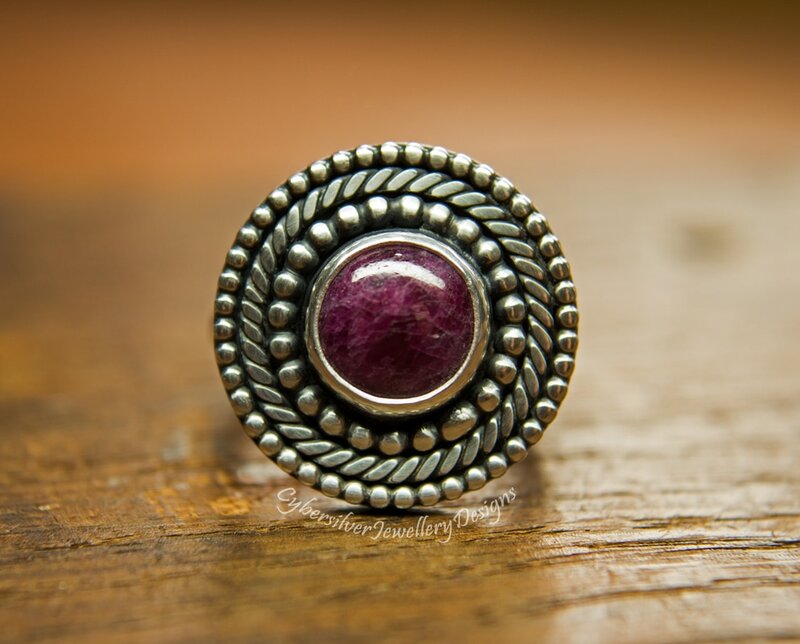 Created from thick sterling silver, the setting measures approximately 25 mm wide and is decorated with three circles of patterned decorative wires. The band is also decorated with thick handmade twisted detailing. 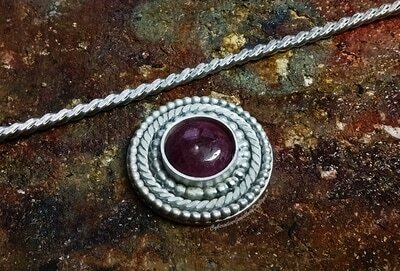 I have oxidised and highlighted the silver and applied a layer of protective microcrystalline wax. Oxidisation is a surface treatment which can continue to lighten with wear. 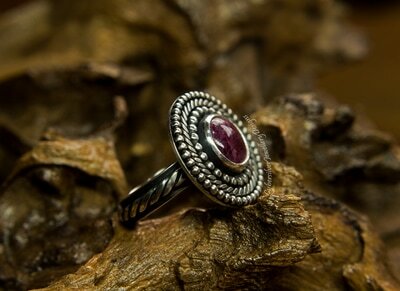 Your ring will come gift boxed. 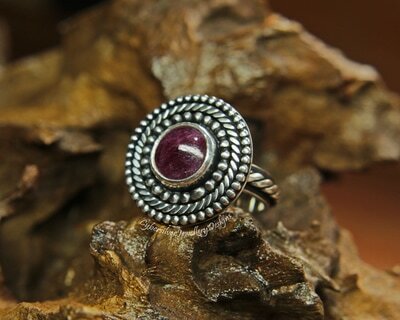 Dispatched within 3 working days - please contact me if you need your ring sent sooner. Please note that stone colours may differ according to monitor settings.